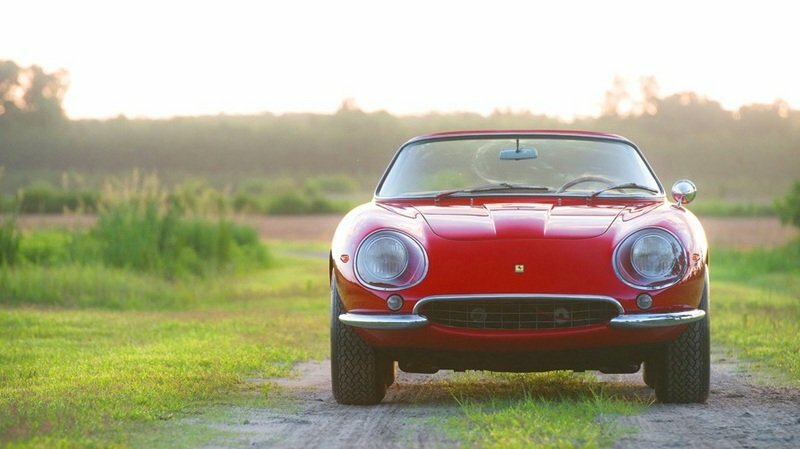 The record-shattering $27 million dollar auction price of the ultra-rare 1967 Ferrari 275 GTB/4*S NART Spider is making waves through the entire classic car scene. Never before has such a late-model Ferrari earned such totals - which are typically the preserve of the 250 series from pre-1964. 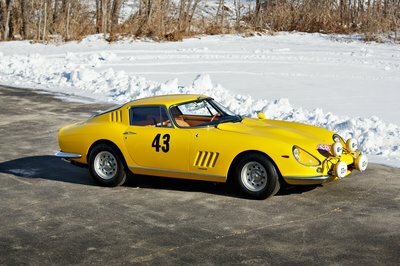 What makes this gorgeous Ferrari so much more valuable than the thousands of other classic Ferrari’s seeking new homes? How did the price of this single model nearly double the $14 million dollar average price - excluding this giant total - when any of these 10 cherished models have changed hands in the past? 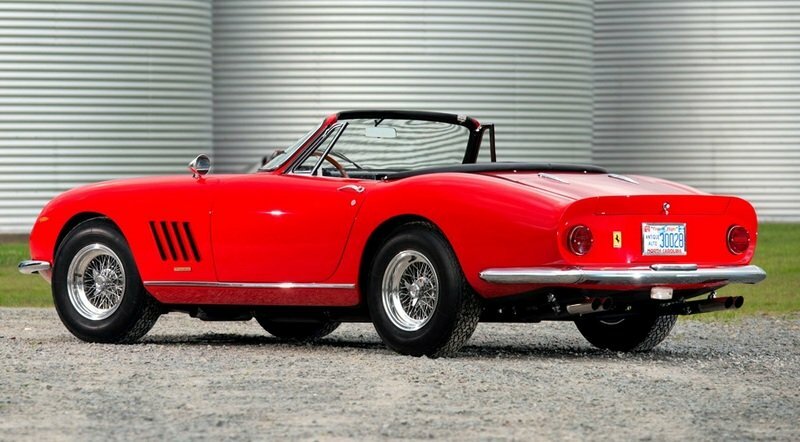 Part of what makes this NART Spider so valuable is the car’s unique blend of the gorgeous late-1950s Ferrari styling and advanced mechancials. The GTB/4S upgrades dramatically increased the performance and handling of this V-12 supercar. Almost the entire Maranello racing technology suite was applied to the NART Spider - allowing it to be a posh cruiser that was also capable of serious speed on a racetrack. The V-12’s quad overhead camshafts were a first on a road car, while the rear-mounted transaxle, limited-slip diff and independent rear suspension were all huge advancements that were offered first in the NART Spider. Ferrari never looked back from all the new technology introduced on the NART Spider. At the same time, the NART is especially sentimental because Ferrari would not make make such an emotionally-styled road car again for decades. The 365 GTB/4 Daytona was 1967’s new hot style and Ferrari followed the money trail by ending 275 production. 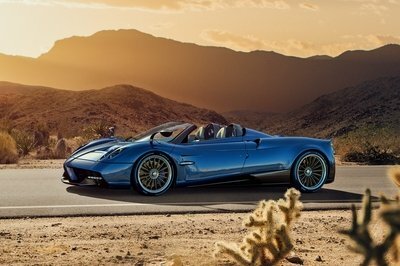 Little did they know, the layers of exclusivity and special editions that helped create this this NART Spider would make it the most valuable road car ever sold. Ever. Click past the jump for the full review of this timeless classic Ferrari, with details on the technology and style of this model during its 10-unit production run in 1967. The NART Spider is tiny. Standing over it makes anyone feel like a giant, thanks to its miniature wheelbase and very narrow wheel tracks. Matching the size of 1950s racecars more than the 1960s, the NART Spider is just 49 inches tall and weighs under 2,600 pounds. A longer nose was brought on-board for the GTB/4 models, and the car was offered with a six-pack or carburetors versus the three in all other 275 models. The six carb stacks and the new quad camshafts required a slight hood bulge, but you would never know it was not intentional, thanks to the tasteful Pininfarina detailing. This example has the ultra-rare optional chrome wire wheels and an front bumper bar just above the oval slatted grille. 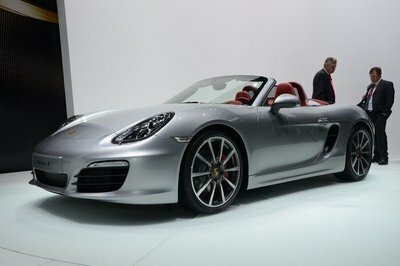 Front ahead, the NART Spider looks very cute - which is not a common description for modern exotica. The large glass headlamp shrouds create a seamless front fender bulge that continues the full length of the car’s shoulder. This flowing and semi-melted appearance is another nod back toward the 1950s and the 250 models. The rear fender matches the rounded front aspect, but adds muscularity with a subtle bulge. Those bulging rear haunches and totally flat soft-top create a back deck that is smooth and totally exposed to air and sunshine, in almost a 360-degree way that is rare with modern convertibles like the 458 Italia Spyder. From the rear, a simple painted tail flip acts as a spoiler - and also an exhaust baffle. Open-topped racecars from this era had a big problem with exhaust fumes coming back into the cabin due to wind buffeting - so the spoiler is doubly helpful. Spindly pillars and a wrap-around windshield are yet more throwbacks - and were a niche preference during the boxier styling that became popular around 1966. The interior of the NART Spider is quite intimate and simple, with low-back ribbed tan bucket seats and a gorgeous three-spoke steering wheel with a wooden rim. Matching leather wraps the entire console, door panels, sills and dash trims in a luxurious way - but there is little style embellishment in this racing-derived cockpit. Vented quarter windows and manual roll-down side glass reinforces the no-frills cockpit atmosphere, which is quite tight even for the two occupants if the top is up. With the top down, the NART Spider is one of those classic cars that seems like it was designed for smaller humans than today’s average American. 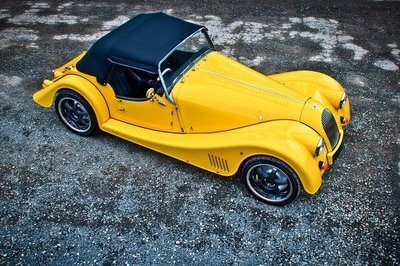 The driver’s visibility is outstanding, even with the low windshield height of this stylish roadster. The stereo system features 12 Columbo woofer speakers (courtesy of the V-12 engine in front) and four tweeters (the exhaust trumpets out back). 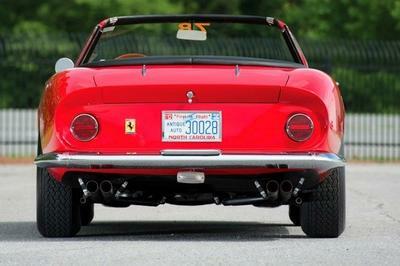 The NART Spider brought numerous technical advancements over the previous 275 GTB models, including the quad camshafts that added a "4" to its name. The "S" designation on this chassis indicates a higher state of engine tune, bumping total power from about 300 to 320 horsepower. 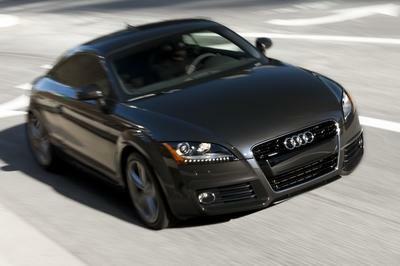 A high-revving engine, this peak does not arrive until the 3.3-liter V-12 is spinning at 7,700 rpm. This is an exceptionally high rev count for such a large and complicated racing engine - and proof of the NART name’s importance. 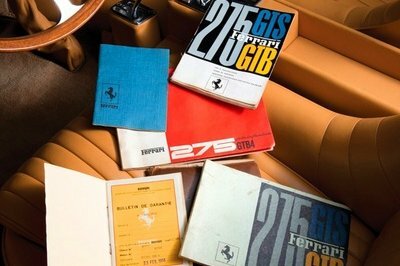 By calling the cars NART — or "North American Racing Team" — the main U.S. importer, Luigi Chinetti, was able to persuade Enzo and the team to equip his 10 special-order GTB/4*S models with all the racing tech available. This also brought the rear-mounted five-speed manual transaxle and limited-slip differential, which were both prized racing innovations at the time. Improved weight distribution and an independent rear suspension revolutionized the Ferrari’s handling balance on rough surfaces. A 5.5 second sprint time for the NART Spider is quite impressive, and nearly matches the performance from Ferrari’s own F1 cars of the day. The top speed is a harrowing 159 mph, which would probably be quite scary on the vintage bias-ply tires and lockable disc brakes. The NART Spider was originally priced at $8,000 in 1967, which only equals $56,000 in 2013 U.S. dollars. A bargain for the original buyer, the $27,500,000 auction price is more than 350 times larger than inflation-adjusted purchase price. Not counting the years of joy this car brought its North Carolina family: this Ferrari Spider suddenly seems like good value. This is partly a story of life-long car passion for chassis 10907’s single owner and his family over the decades - but also one of transition for Ferrari after only ten years selling road cars. One explanation for this car’s stratospheric value comes with its special history and provenance over the small run of basically a run-out special GTB/4 models. As part of this ultra-exclusive group of ten NART Spiders made in total, the supply of show-quality convertible Ferrari’s with swoopy retro styling is dwindling rapidly. Despite Scuderia Ferrari’s founding in 1929, the early racing prototypes were all destroyed at the end of each season - to avoid industrial espionage and also to reinvest the aluminum’s scrap metal value. This fact drastically cuts the supply of Ferrari’s at this price echelon - and increases demand. It also shows that the serious value for Ferrari models will continue to mature with time. As recently as a decade ago, 1950s Ferrari’s were the hottest collector classic available. As buyers age, it is reassuring the see the big money go after 1960’s models as well. As a crucial tech flagship during a transitional period at Ferrari - the NART Spider is an incredible machine. As one of the only 275 models to get near the exclusivity and style of the prized 250 GT California - this is truly one of the most impressive vehicles of all time.